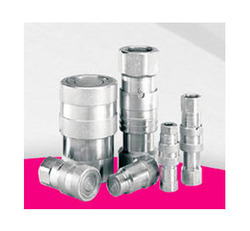 We are a leading Wholesale Distributor of flat face couplings and quick release couplings from Bengaluru, India. By keeping track with the market developments, we are engaged in offering an extensive range of Flat Face Couplings. This coupling is precisely manufactured with superior quality material & leading techniques under the supervision of professionals. Our offered coupling is appreciated in market for their excellent finish, reliable performance & accurate dimensions. We are giving this coupling to our customers at industry leading rates. 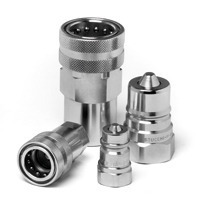 Our Stucchi , Italy make Quick Release Couplings.Offered couplings are used for connection and disconnection of Hydraulic lines without much effort. These couplings are manufactured with precision utilizing top notch material & latest techniques following the industrial norms. Our offered couplings are widely accepted for industrial works and appreciated for its excellent performance.